Where We Strive to Love God, Self & Community by Sharing Love Locally, Regionally, Nationally and Globally! 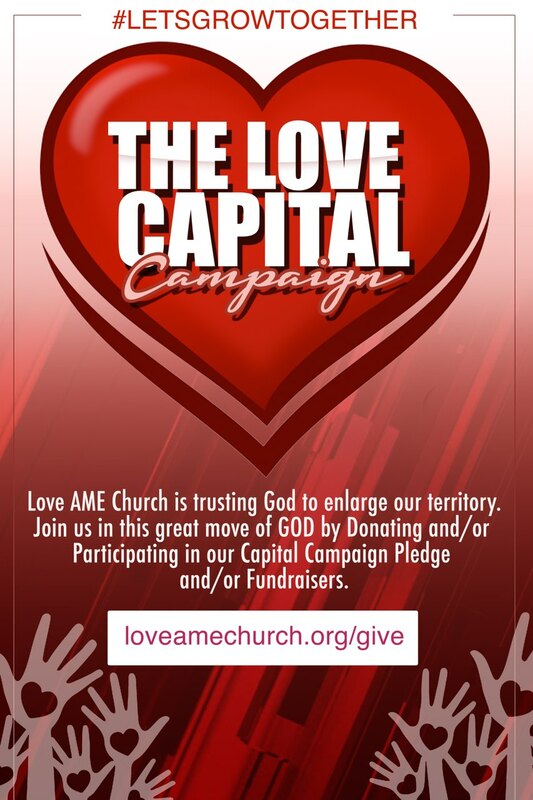 By giving to Love AME Church, you will directly assist us in sharing the Good News of Jesus Christ to the lost, the hurting and the community at large. You will also help us build and strengthen the faith of those existing believers that God has purposed to assist us in this great work! As a new church there are plenty of items we need. Please email us at loveamechurch@gmail.com and use the subject header “In-Kind Donations*” to indicate what items you have available for donation. We look forward to speaking with you in regards to your donation. If you would like to partner with the vision of Love AME Church in reaching our community here in Bowie MD and the Washington Metropolitan area then click the “GIVE” button above to start your online giving. You can give a one time gift or do a recurring gift. We want to thank you in advance for partnering with Love AME Church! We appreciate your generosity to Gods Kingdom. *In Kind Donations can be in the forms of tangible items, such as music equipment, church supplies and/or services such as printing, graphics, etc. Sunday Service 10:00am-11:00am* *Children's church is the same time. To share God’s LOVE with our community, region, nation and world. We are professional LOVE agents. We will LOVE our neighbors near and far, so that they may come to know this LOVE that God has shared with us. A love that is available to all.